What are you enthusiastic about in this life? 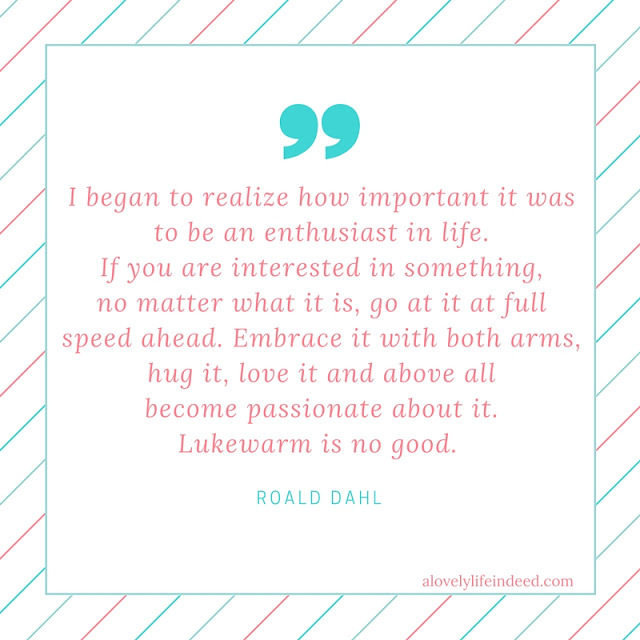 Are you lukewarm or are you going for it? Share your passion and inspire us all. Love this! I'm passionate about writing and nature and work!! Love these inspirational messages. I know there are many things in my life where I have consistently 'walked the walk' and still do so every day. Even those favorite things of passion require commitment and work, and as it says, not lukewarm! Thanks for sharing Kelly! Thank, Peggy. I do too. I try to pick quotes that stoke the fire in my belly.